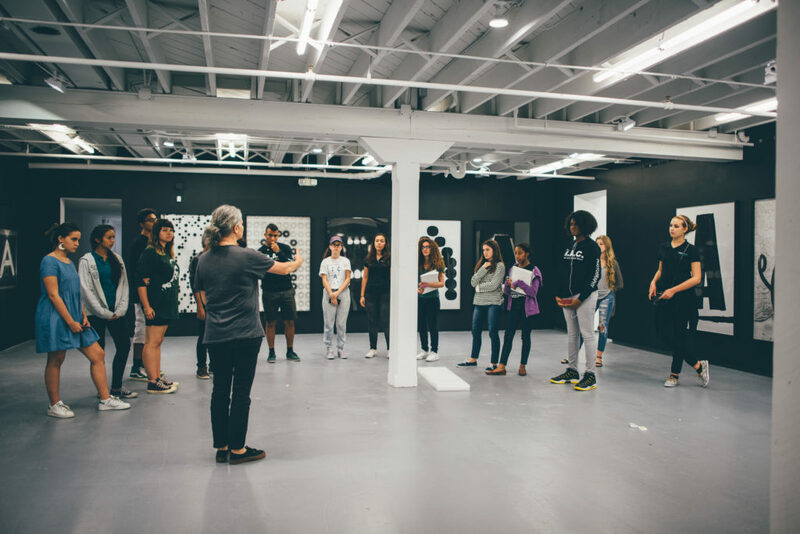 ICA Miami provides exhibition curriculum throughout the school year. Curriculum is designed to prepare school groups before attending a tour through engaging activities and lesson planning materials. In addition, ICA offers teacher training opportunities that incorporates contemporary art into everyday learning. Artist and photographer Shannon Ebner touring students from Young Artists Initiative at ICA Miami. Photo: Javier Sanchez.